UPDATE 10.20AM: WILDLIFE officers are calling on the Fraser Coast community to help track down the two crocs spotted near Grahams Creek. Senior wildlife officer Greg O'Neill is part of the team searching for a 2.5m and a 4.5m crocodile that have been sighted cruising the Mary River on Thursday, April 14. Mr O'Neill said due to government regulations his team must relocate the reptiles to a more northern location, with Rockhampton and Airlie Beach on the cards. He said members of the public could help the team find the giant reptiles. "They (community) can take photos of it (crocodile) if it is safe," Mr O'Neill said. 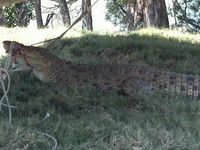 The community is being urged to call the CrocWatch on 1300 130 372. 1923: The Chronicle reported sightings of a croc in Tinana Creek after a flood. 1937: Tiaro was on high alert as a search for a crocodile spotted in the Mary River got under way. 1947: A crocodile was found dead near the Mary River by Mr J Yates, a professional fisherman. The crocodile was said to be 3.2m long and was shot by Mr M. Goldenstein from the bridge of a boat. 1951: The body of a croc was found at Woody Island in Hervey Bay, and another was spotted near Saltwater Ck. 1964: James Greensill hunted and shot a 3.2m crocodile on the banks of the Mary River at Owanyilla before parading it around the pubs in Maryborough. 2013: Wildlife officers confirmed the sighting of two crocodiles (one 2.6m and the other 3.6m) in the Mary River. 2014: A member of the public reported seeing a 2m crocodile in the water near the boat ramp at Shelly Beach. 2014: The Mary River's elusive 3.8m crocodile has been caught by wildlife officers overnight - more than two years after it was first spotted in the waterway. 2015: Tiaro Landcare captured an image of a croc in the Mary River near Tiaro's Petrie Park. January 2016: A member of the public said they saw the head of a croc at Emery's Bridge near Gundiah. UPDATE 4.30PM Wednesday: A FLOATING trap has been set up in the part of the Mary River where a 2.5m and a 4.5m crocodile were spotted. The reptiles were seen by the officers last Thursday, April 14, after more than a year of searching up and down the Mary River catchment systems. Senior Wildlife Officer Greg O'Neill said the crocs had to be relocated because they were living south of the Boyne River, near Gladstone. "It's government policy to remove any crocodile found south of the Boyne River, it acts as a border," he said. "It is not because of their behaviour - in fact we wish all crocodiles would act in this way; staying away from people and boats." UPDATE 1PM Wednesday: FRASER Coast Wildlife Sanctuary curator Ray Revill says he's "not at all surprised" two massive crocs have been spotted in the Mary River. The Department of Environmental Protection has confirmed two crocodiles, one 4.5 metres long, have been seen by wildlife officers in Grahams Creek. 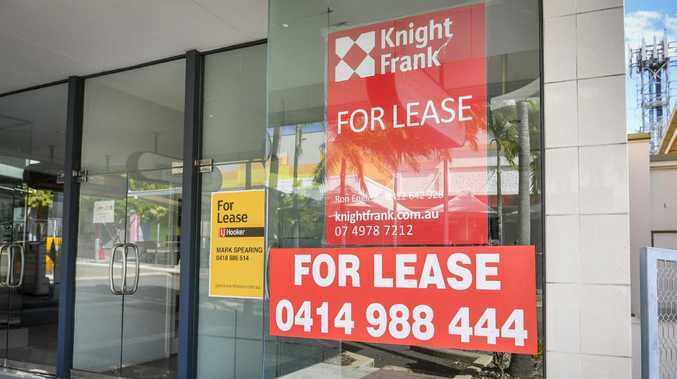 Ray Revill said for true locals of Maryborough, Tinana and Tiaro, this was not unexpected. "It's unusual for the department to make a record of it, but not unusual for the die-hard locals," Ray said. "They move up and down the whole system, and Graham's Creek is just before the barrow when they're supposed to stop." Ray said although two had been spotted in the same area, he doubted there would be any baby crocs swimming around the region. "There's no evidence of them doing that, and here it's a little bit on the cool side and not humid enough for them to breed usually," he said. Although Ray had recently expressed interest in bringing crocs to the sanctuary on Mungar Rd, the two spotted in the Mary were far too big. "I'd say they'd probably end up going to Rockhampton or Airlie Beach to the farm up there," he said. "I hope they've got a big trap for these ones!" EARLIER: TWO crocodiles have been spotted in the Mary River by wildlife officers from the Department of Environment and Heritage Protection. One of the animals is estimated to be 4.5 metres long. 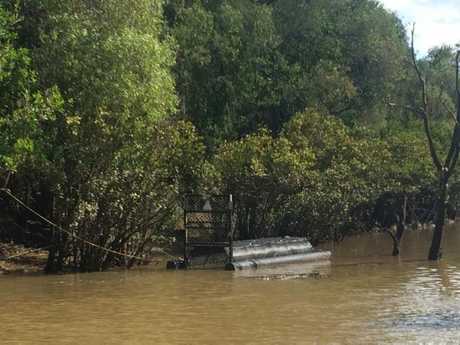 EHP Southern Wildlife Manager Sally Egan said a floating trap would be deployed in the Mary River near Grahams Creek where the two crocodiles were seen by wildlife officers during an early morning river bank survey on Thursday, 14 April 2016. "In addition to the 4.5 metre animal wildlife officers confirmed the presence of a second crocodile estimated to be around 2.5 metres long in the same section of the river," Ms Egan said. 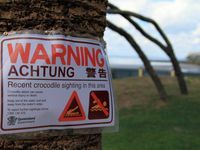 "Recent crocodile sighting warning signs have been deployed and wildlife officers will continue to monitor the river near Grahams Creek." "Wildlife officers are continuing to conduct vessel based surveys of the Mary River. Any crocodiles found to be present will be automatically targeted for removal." Ms Egan said EHP had also received a report of a large object - possibly a crocodile - in freshwater Tinana Creek on Monday, 11 April 2016. "Wildlife officers are investigating Tinana Creek for any signs of crocodile activity as part of their monitoring of the Mary River," Ms Egan said.